The application is now open for the Professional Training Program of AREA DANSA BARCELONA in Contemporary Dance and Creation. 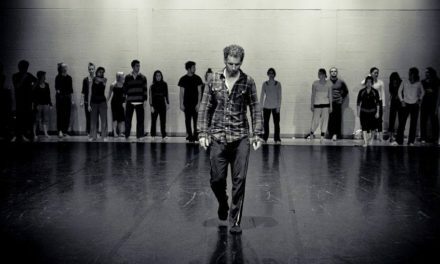 AREA’s Professional Training Program in Contemporary Dance is aiming to accompany students in their professional development in an open and diverse way, taking into account both technical and creative aspects, as well as the awareness and understanding of the complexity of what is dance today. The training considers the diversity and the different characteristics of each student as a unique value. It focuses on enhancing their capabilities, their tools and their physical and creative abilities and it also calls for reflection. We consider the technique as a tool for understanding one’s body and allows us to turn it into an available space, that has the capacity to be versatile, alert, conscious and creative at the same time. Technique for us, is not only about being able to reproduce certain forms, but also the ability to adopt the information received and to know how to use it. The duration of the program is three years, with the possibility to enter directly to second or third year. For more information on the structure of the program and what each year offers to participants please visit our website. To apply, please send us an e-mail to info@areadansa.com and we will send you all the necessary steps to follow.